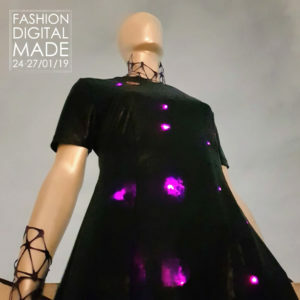 Machine intelligence, cloud, produzione additiva, big data … Digital Made è un programma modulare che mira ad accelerare la trasformazione digitale nel settore della moda con il contributo di giovani uomini e donne. 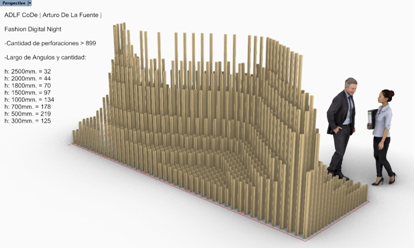 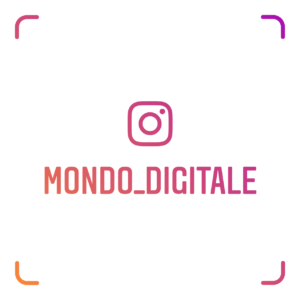 The Fondazione Mondo Digitale has been working with art, design and technology for a number of years, now. 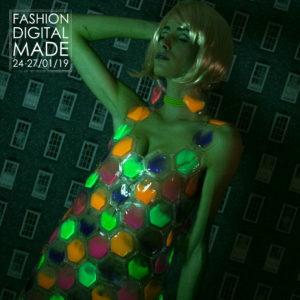 In 2014, we organised the first edition of the Media Art Festival and introduced clothing developed in the Fab Lab (a collaboration with CNA and tailors) to the Maker Faire [see Maker Fashion: Alice at the Phyrtual Innovation Gym]. 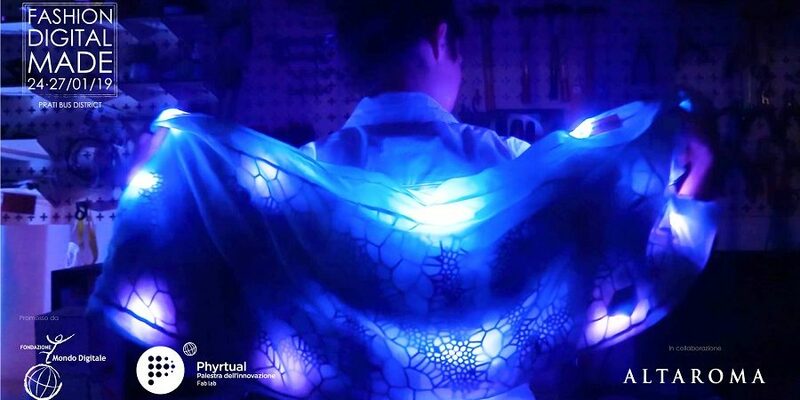 Over the course of the years, we have added new environments to the Phyrtual Innovation Gym: IoT Lab, Media Art Lab etc. 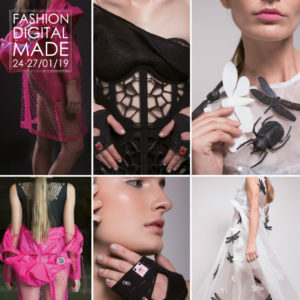 Today, we are ready to provide a contribution to the Fashion Education sector, to mould beauty and new technology, because beauty is not a luxury. 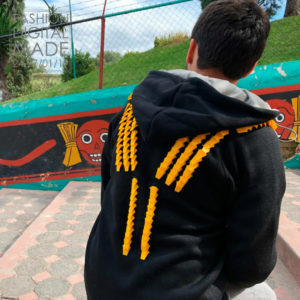 It is a common good, that must be ethical, sustainable and accessible to everyone. 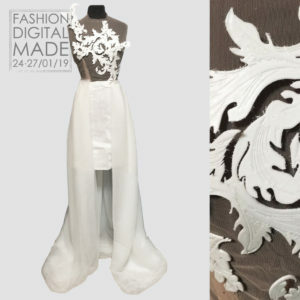 The project will be kicked off with a special event. 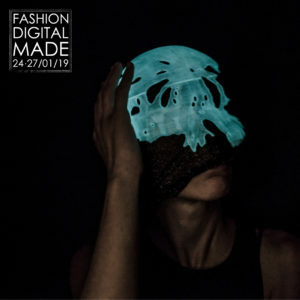 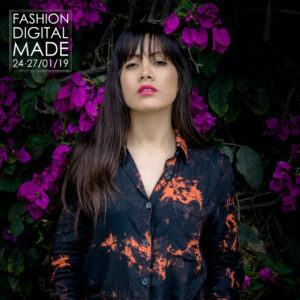 In fact, as part of the Altaroma event that will be held on January 24-27, 2019 at the Prati Bus District, the Fondazione Mondo Digitale is promoting “Fashion Digital Made” to launch digital transformation in the fashion sector and develop new professional profiles. 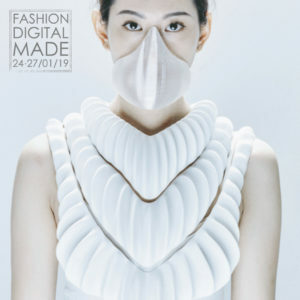 The event will include the Fashion Hub 4.0 with a live show and the production of custom-tailored accessories with digital manufacturing devices and the Fashion Digital Night, an original catwalk of wearable technology projects from 14 countries around the world. 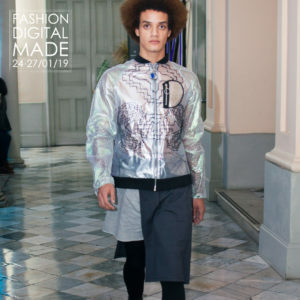 Project Digital Made will kick off with a special event, a fashion show at Altaroma 2019 dedicated to wearable technology. 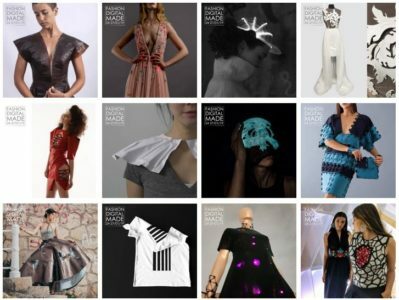 Open contests for group or individual participation by artists, creatives, designers, engineers, researchers, innovators, makers, stylists, students, etc. 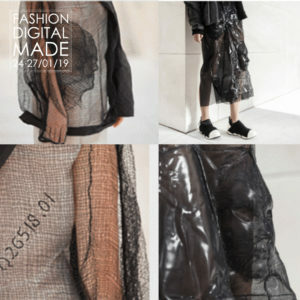 The projects selected by a commission of experts will receive opportunities for visibility at FMD events. 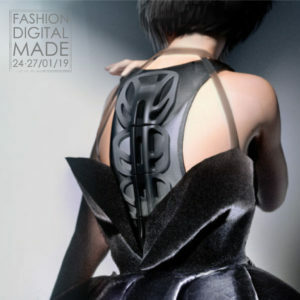 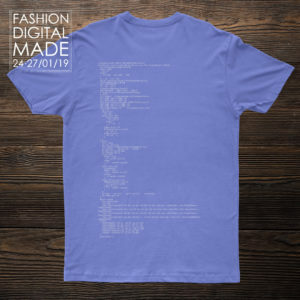 The techno-fashion element becomes a transversal thread to educate the new generations in an exciting and innovative manner to fashion beauty and culture, as well as to explore the role of clothing in inclusion processes. 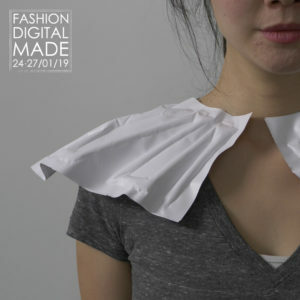 A 40-hour school-work programme to experiment with digital technology in the design and fashion sectors, under the supervision of professionals. 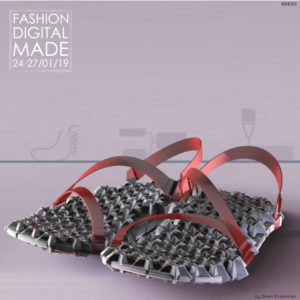 Hi-Tech Summer Camp for young boys and girls. 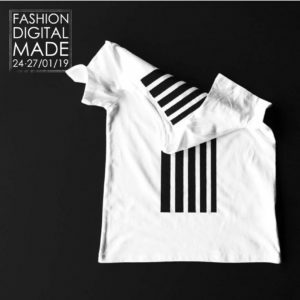 Days dedicated to various formats (strategy workout, hackathon, creativity jam, etc.) 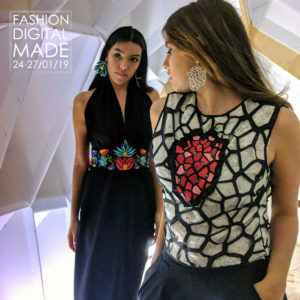 focusing on education and synergies between different players in the fashion world. 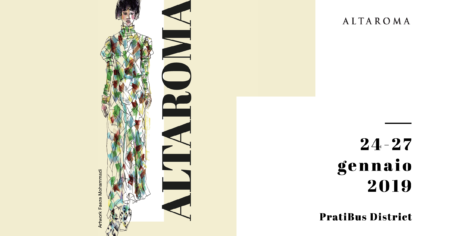 Exhibition of productions and collections selected through contests. 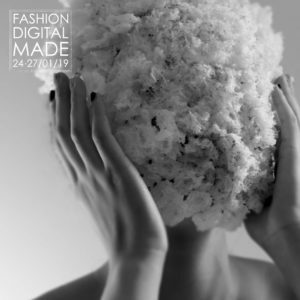 As part of the Altaroma Fashion Week , which will be held on January 24-27, 2019 at the Prati Bus District, the Fondazione Mondo Digitale is promoting Fashion Digital Made to accelerate digital transformation in the fashion sector, promote Italian SMEs and develop new professional profiles and competences amongst generations. 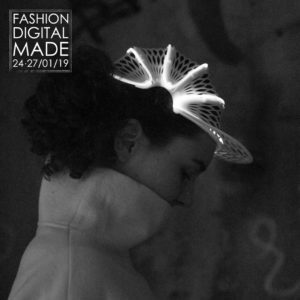 A hood that monitors our heartbeat and uses lights and colours to communicate our moods, fibre optic stitching, clothes that produce sounds when touched and electronic prostheses that amplify perception. 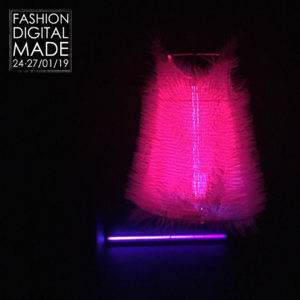 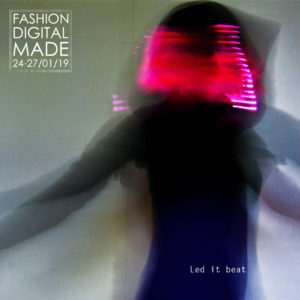 There are 40 projects designed and produced by young stylists, designers, developers and makers from 14 countries around the world that were selected through an international call to participate in the Fashion Digital Night on January 25, 2019 at 9 pm. 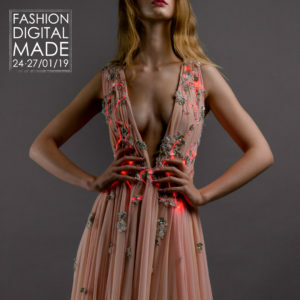 A special catwalk dedicated to the new frontiers of wearable technology in four main areas: wearable technology, digital manufacturing, bio materials and smart brides. 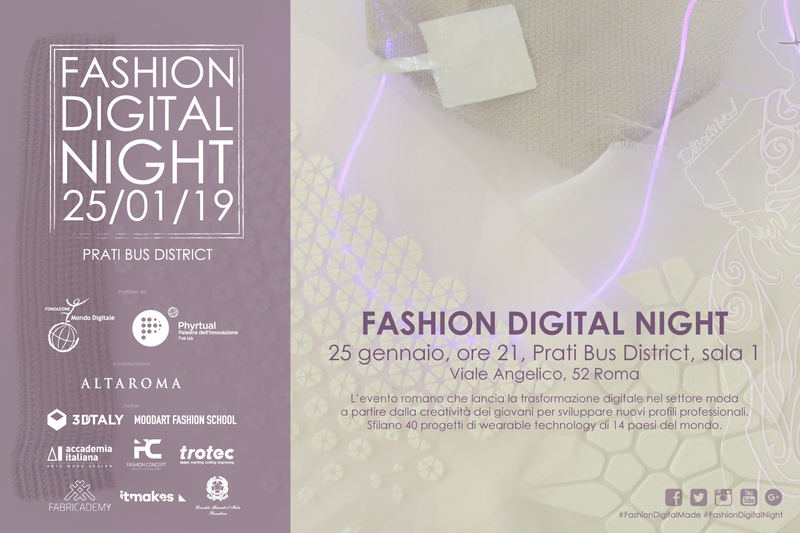 On January 24-27, 2019, the Prati Bus District will host the Fashion Hub 4.0, a temporary exhibition organised by the Fondazione Mondo Digitale, to reveal the secrets and potential of new technology for the fashion sector: live demos with 3D printers, the production of custom-tailored accessories with digital manufacturing devices and immersive experiences to relive the excitement of the great fashion shows, from Milan to New York. 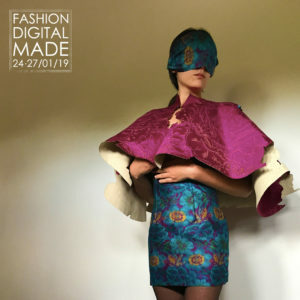 At the end of the event, the Fondazione Mondo Digitale will launch a new challenge for designers and creatives: develop prototypes of intelligent clothes and accessories to present to a leading sector company. 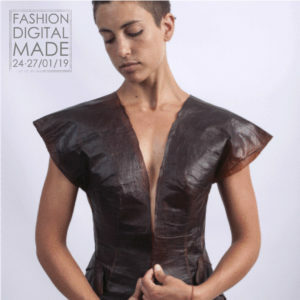 The initiative is promoted by the Fondazione Mondo Digitale, in collaboration with Altaroma and other partners, including: 3DiTALY, Fashion Concept Web Model Agency, Trotec, Moodart Fashion School, Accademia Italiana, ITmakES, Fabricademy and the Italian Consulate General in Barcelona. 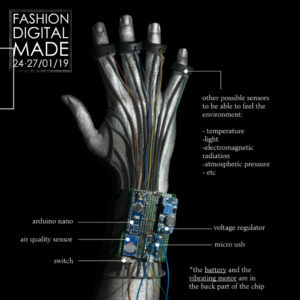 The Fashion Digital Night, the Roman event that launches digital transformation into the fashion sector through the creativity of young men and women, will feature 40 wearable technology projects from 14 countries. 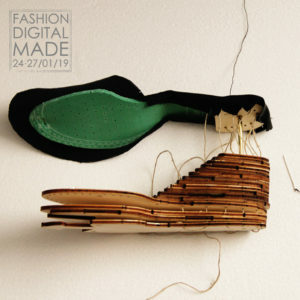 The prototypes come from Argentina, Chile, Greece, Italy, Mexico, Netherlands, Peru, Russia, Spain, Turkey, United Kingdom, United States and Venezuela. 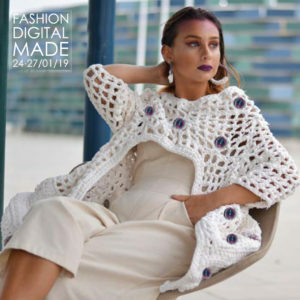 Eleven projects were produced by professional work teams, while the others were presented by young hi-tech professionals. 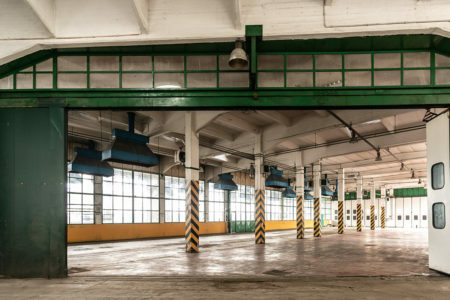 Consolato generale d’Italia a Barcellona. 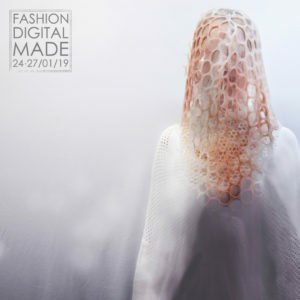 As part of the Altaroma Fashion Week , which will be held on January 24-27, 2019 at the Prati Bus District, the Fondazione Mondo Digitale has organised a temporary exhibit to reveal the secrets and potential of new technology for the fashion sector: live demos with 3D printers, the production of custom-tailored accessories with digital manufacturing devices and immersive experiences to relive the excitement of the great fashion shows, from Milan to New York.